MADRID — Spanish Prime Minister Mariano Rajoy is poised to fall from power after a corruption scandal dealt a blow to a leader whose support has gradually been eroded by unpopular measures he imposed to avert Spain’s economic collapse during the eurozone’s debt crisis. Rajoy’s fate appeared to be sealed after a key parliamentary ally announced plans to vote against the prime minister in a vote of confidence slated for Friday. Rajoy, one of Europe’s longest-serving current leaders, is likely to resign or to be replaced within days by the leader of the center-left Socialists, who have seized on a corruption scandal that has racked the prime minister’s center-right Popular Party. The political crisis also greatly increases the chance that general elections will be held ahead of when they are scheduled in 2020. 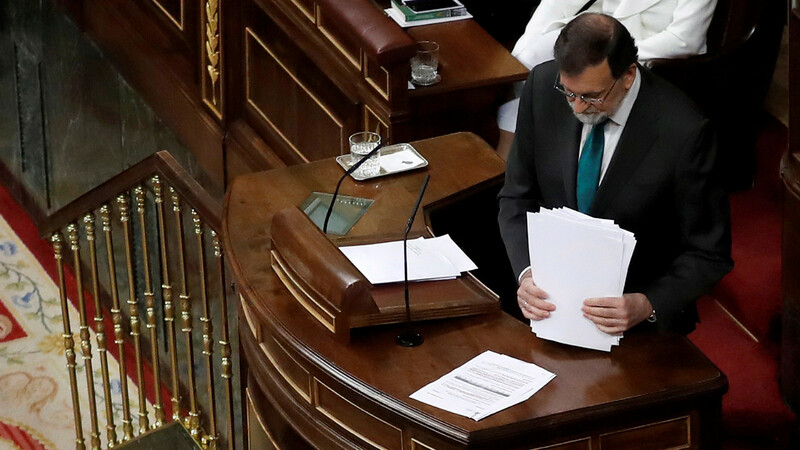 0 responses on "Spainish PM Rajoy likely to get pushed out in confidence vote Friday"